Medical advocacy organisation Doctors for the Environment Australia says Adani’s mine will undermine Australia’s pledge at the climate change meeting in Paris to keep temperatures below two degrees Celsius. Adani’s Carmichael mine will produce 60 million tones of coal annually, which when burnt equates to 0.6% of the world’s remaining carbon budget. If Adani Carmichael were a country it would be 38th on the list of emitters. Spokesperson Dr David Shearman says, “Fast-tracking this colossal project will show that the Palazsczuk government fails to comprehend that its actions will contribute to an increase in more extreme weather events – more hot days, storms and floods – and will also contribute to the demise of the Great Barrier Reef and damage to our agriculture industry. “Support for the mine will undoubtedly dent our international reputation further. We will be seen as a wealthy country cashing in on further coal mining that will add to the harm of our Pacific neighbours and make control of world greenhouse gas emissions more difficult. 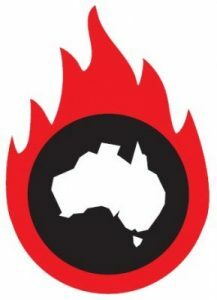 “ It must be embarrassing for the Australian Labor Party –who has been working to give the impression that it is moving towards fossil fuel reduction- that a state ALP government is aggressively moving to open one of the largest coal mines in the world. “Queensland government’s promotion of jobs from coal mining is an admission of its inadequate comprehension of, and planning incompetence in providing employment for the 21st century. “There is a technological revolution in energy provision and unless Australia moves in that direction, we will fail to take advantage of the health and economic benefits,” says Dr Shearman.